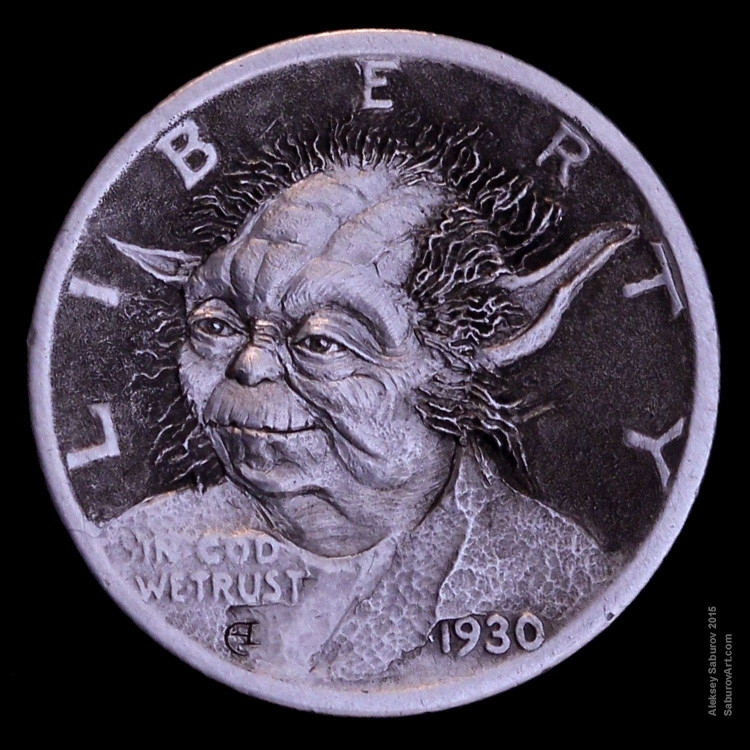 Coins that carry carved stories on them. 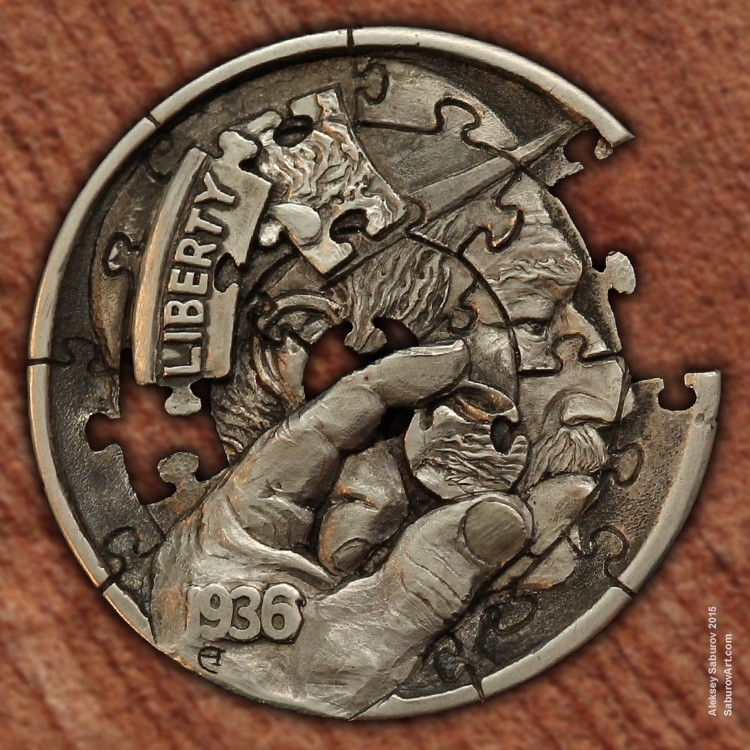 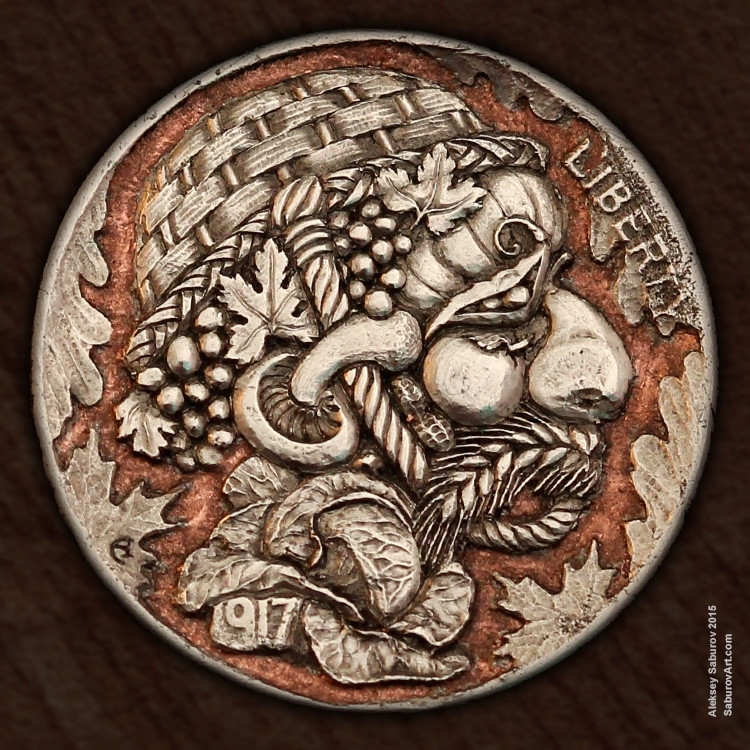 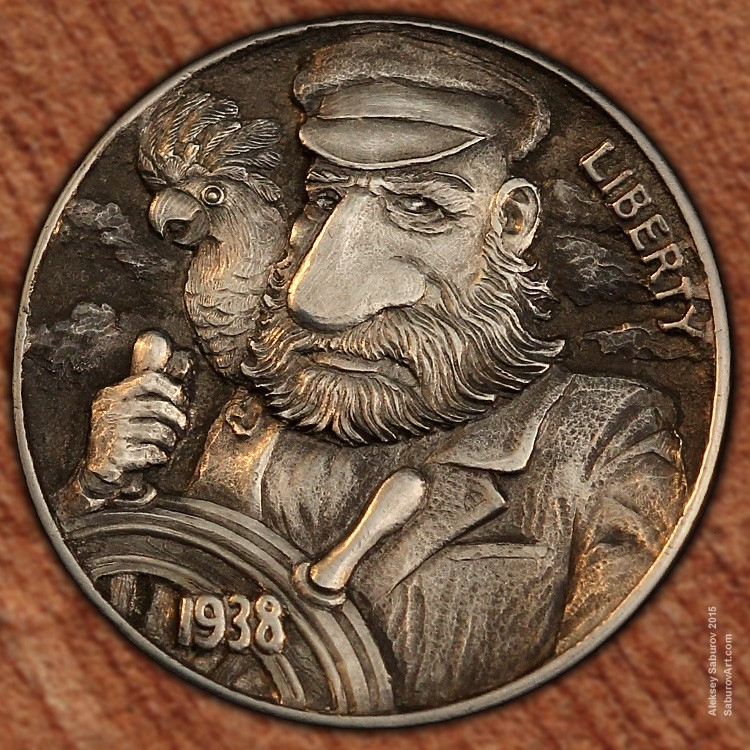 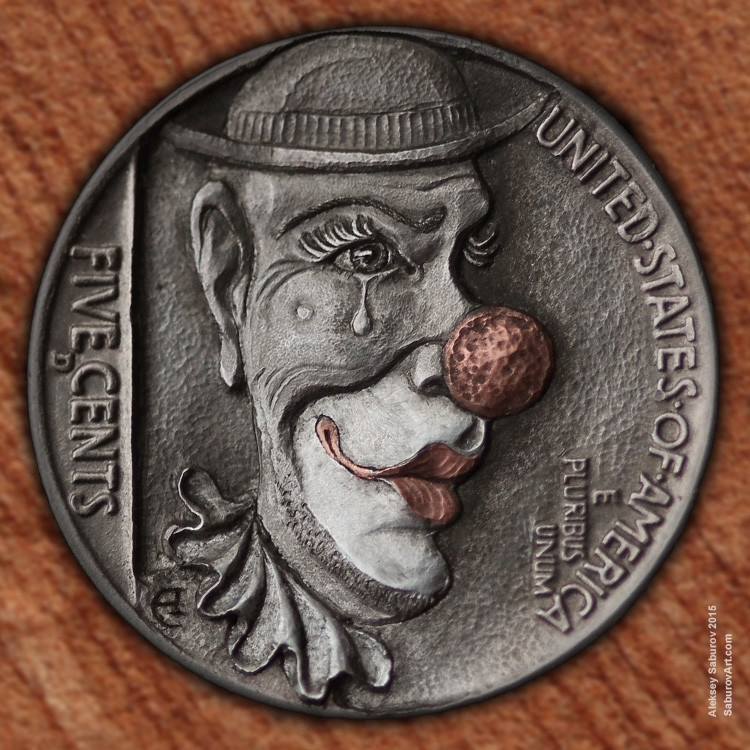 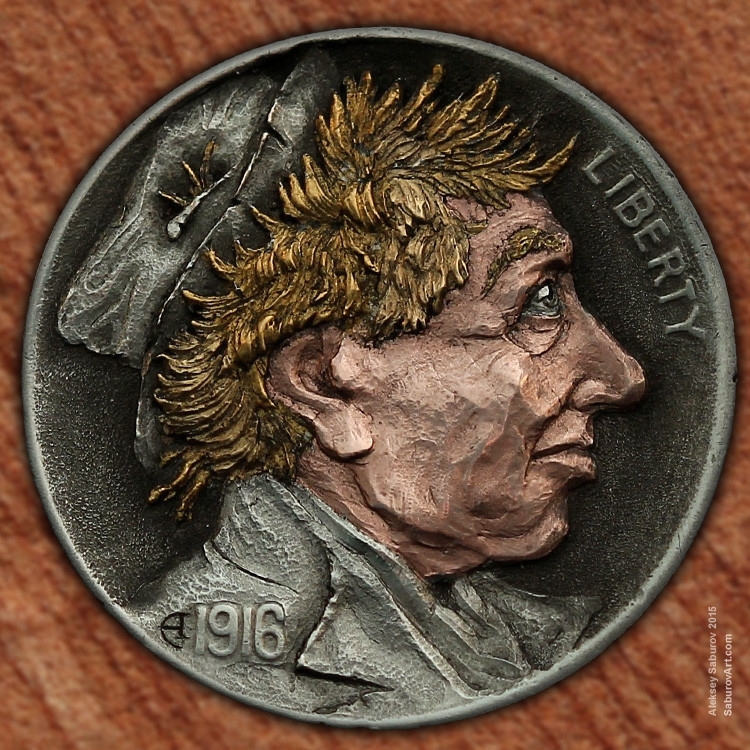 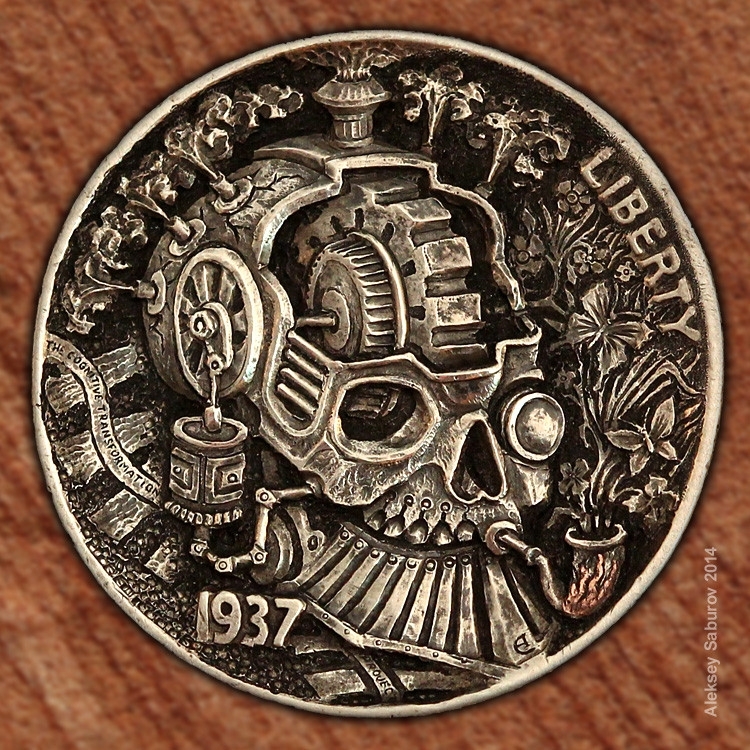 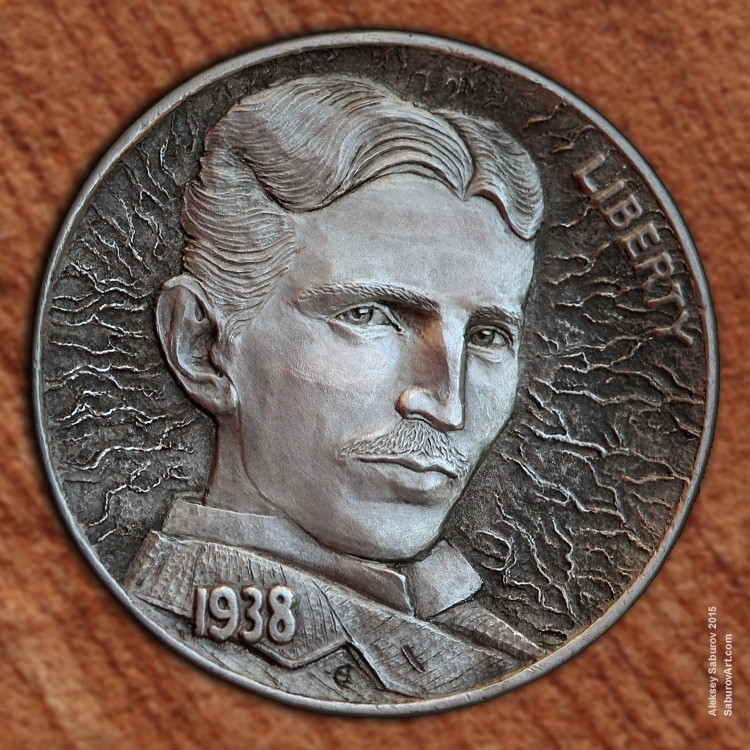 Aleksey Saburov is a "details" artist, he carves intricate designs on existing coins, which replicate a time in history, personal to him or to the people that commission his work. 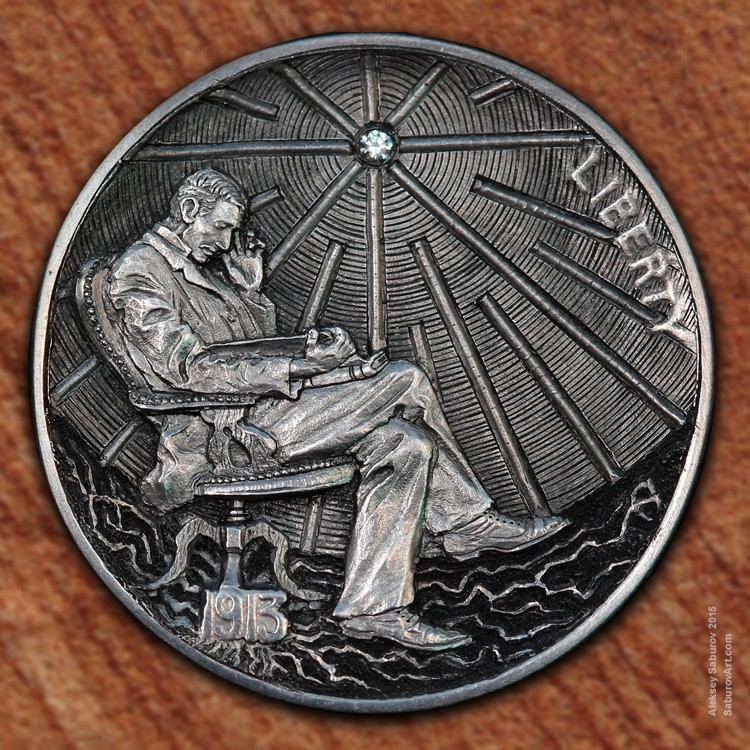 As searched on wikipedia, the Us nickel coin was chosen for this work, thanks to it's size, thickness, relative softness and cheapness. 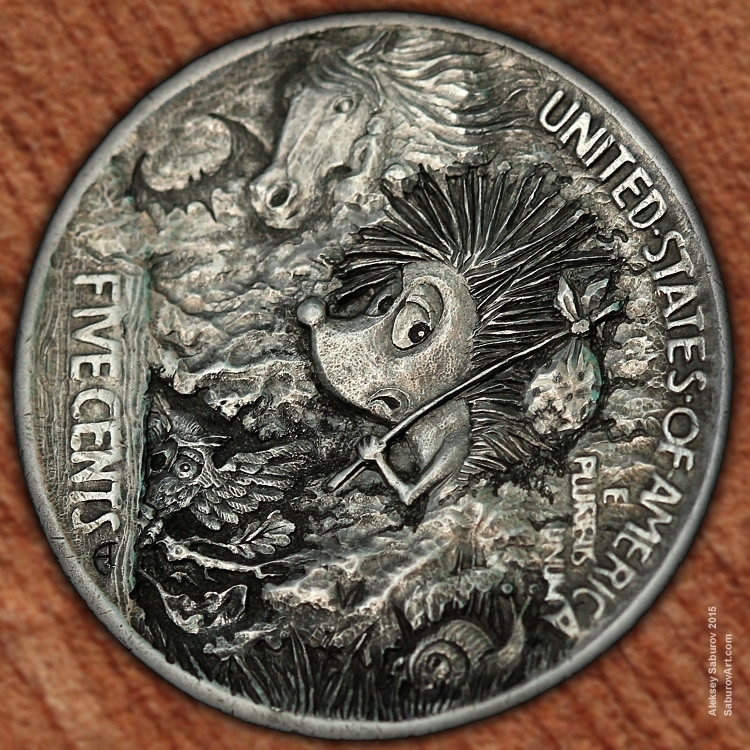 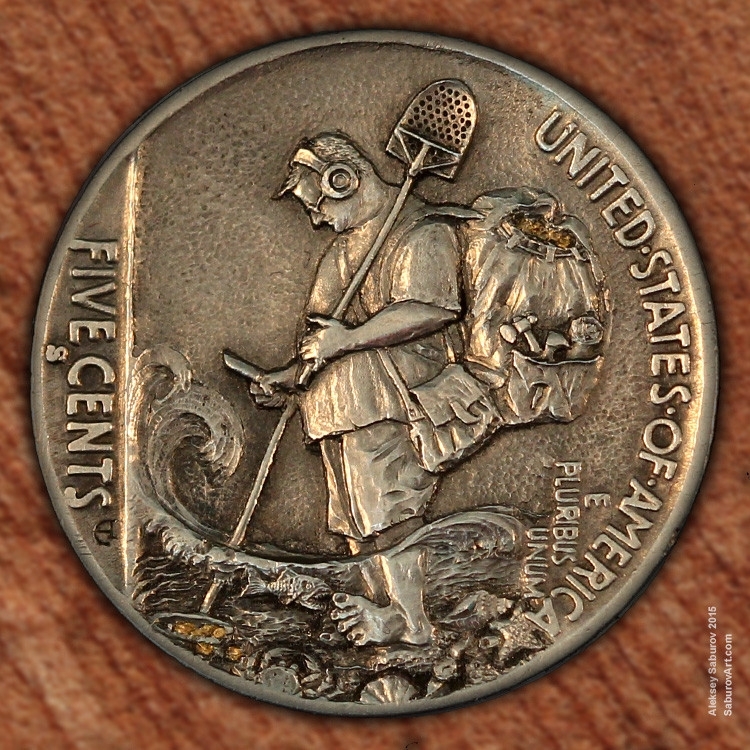 The low value and portability was associated with hobos and that is where the name originated from "Hobo Nickel Coins". 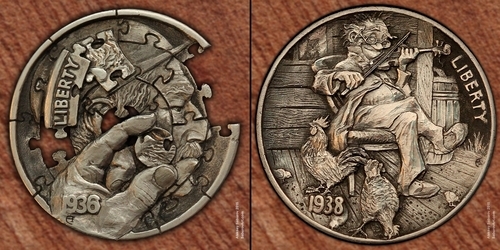 Saburov carves his images or scenes, in bas-relief, under 10X magnification, to make sure he can pack as much detail as possible. 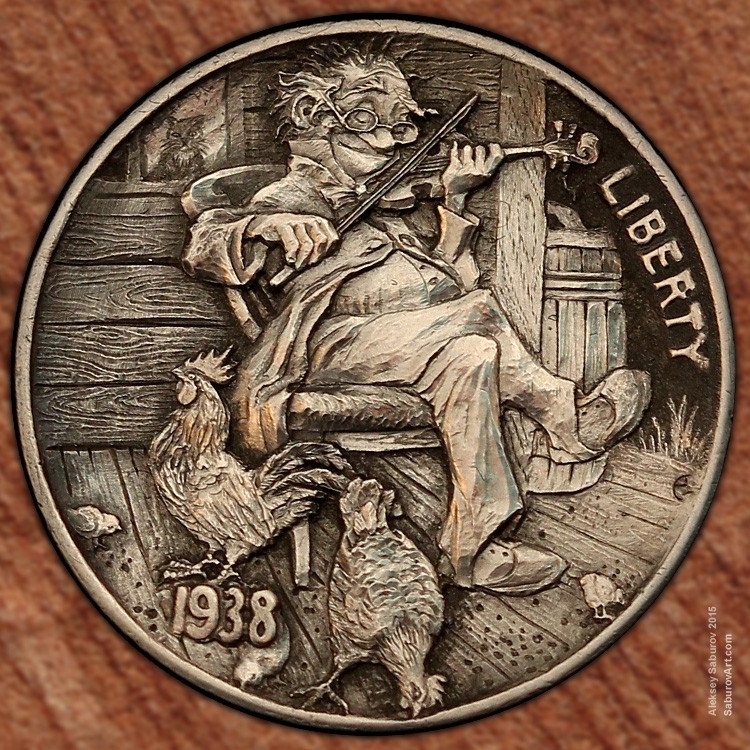 Have a look below to see more beautiful examples of his work. 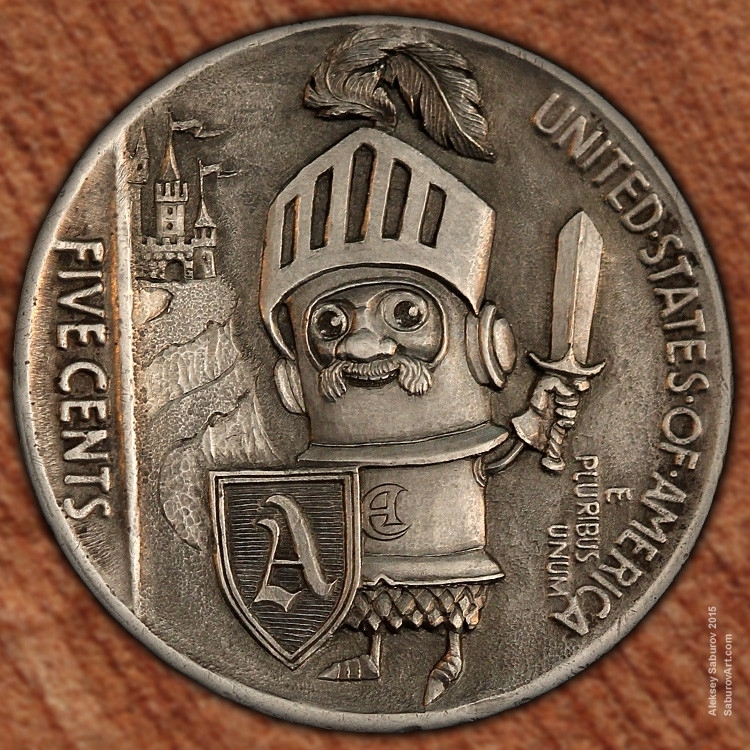 (press the image to enlarge it).